Lookie, lookie what I have! 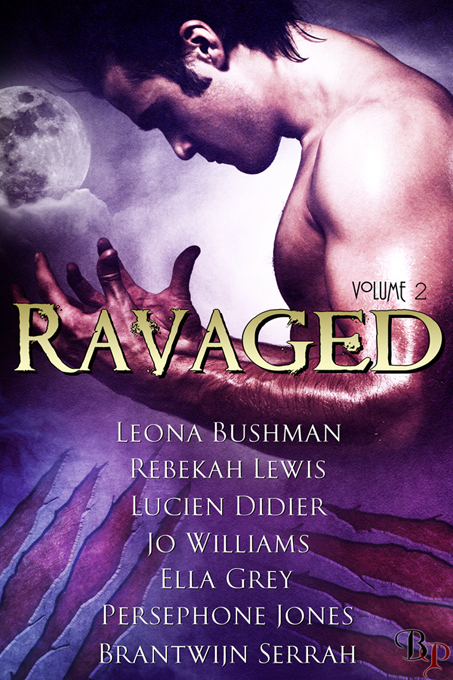 Cover art for Ravaged vol. 2! In this book you will find the short story, “Midnight at the Satyr Inn.” You will meet several characters you haven’t met yet, and it focuses on Jacen, one of the Arcadian satyrs and formerly a guard for Prince Evander. He, Vander, Calix, and Orestes have been running a bed and breakfast in Savannah, Georgia. And when London decides to visit for the weekend hoping to encounter the paranormal at a supposedly haunted inn, she finds a little more than she’s bargained for. “Midnight at the Satyr Inn” is currently undergoing edits, and I do not yet have a release date for the anthology. But I will let you know as soon as I know! In other news, Under the Satyr Moon is 2/3 of the way done. I am working hard to get it finished and submitted by Halloween. Bare in mind that writing is one of 4 jobs I hold, so I work at it as often as I can, but sometimes I get overwhelmed with work. It is getting close to finished though! Previous postMelancton Teaser & Satyroi News!